The Log Cabin Play House is a traditionally themed safe haven of imaginative group play. 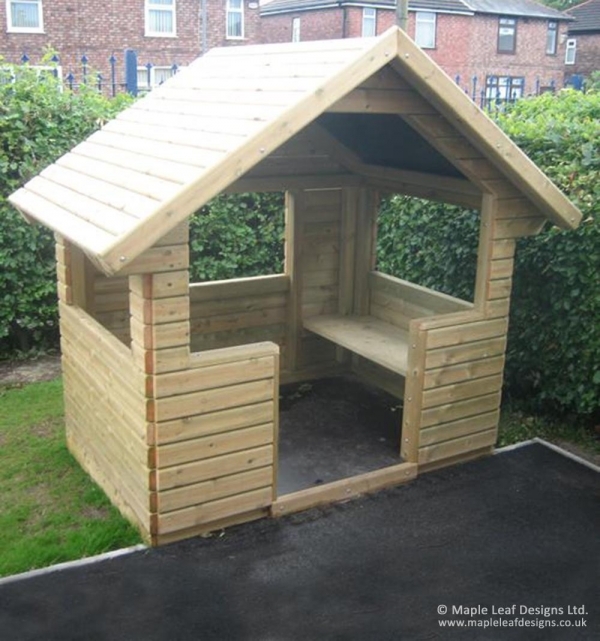 Featuring three open windows and two bench seats, the dual-pitched design will keep the children sheltered as they play while the full-timber construction makes it an excellent addition to any natural-look playground. We can also paint them to match a theme of your choosing.